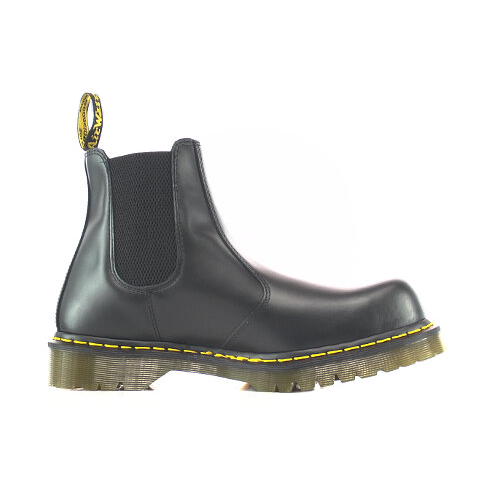 This Dr Marten is from the ever popular Dr Martens ‘Air-Wair’ range of safety footwear. It's a classic dealer boot with plain welt and ‘Air Wair’ sole makeing it an ideal contract or uniform boot. This boot also incorporates a steel toe cap for safety in the work place and P.V.C. sole providing excellent slip resistant properties.